Crispy Brussels Sprouts & Seven Ways to Love 'Em! Before you frown at the thought of biting into a bitter Brussels sprout, try these exquisitely seasoned sprouts. 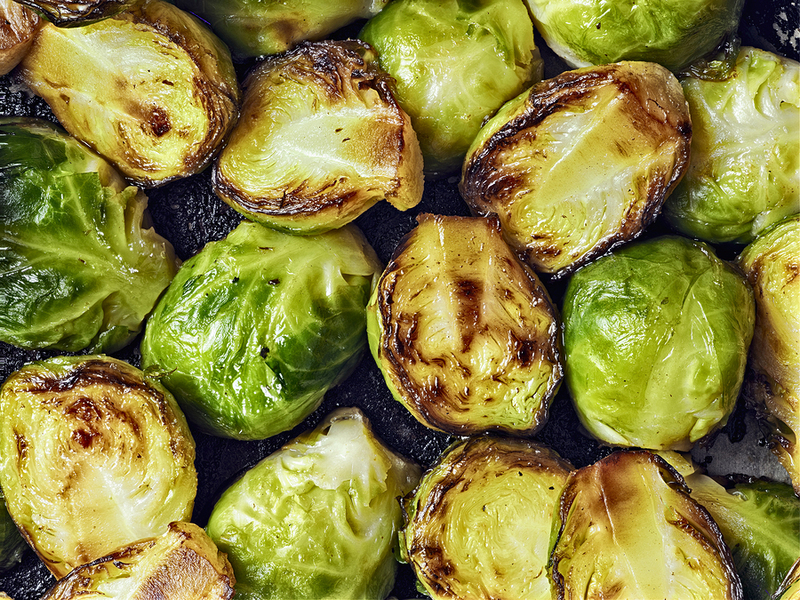 Seasoned with aromatic Harissa Spice Blend and coconut oil, these roasted sprouts are a mouth-watering surprise with almost caramelized bottoms and crispy on-the-outside, tender on-the-inside texture. Don’t miss the seven alternative ways to season and/or dip ’em! Add the sunflower oil onto the sprouts in the bowl and stir or toss with hands until thoroughly coated. Add the Harissa spice and salt. Stir until combined. Drizzle with olive oil and quickly toss to coat. This infuses with flavor and moistens them a bit after roasting. Sprinkle on toasted sesame seeds if you have some on hand. Taste and add another tiny pinch of salt, if desired, and serve immediately – the hotter the better. This entry was posted in Recipes and tagged brussels sprouts, coconut oil, food, healthy lifestyle, healthy living, nutrition, recipe, spicy, vegan recipe, vegetarian recipe.